CAPTAIN MITCH’S Airboat Tours Everglades City, FL. THRILLING Everglades airboat tours on thousands of acres of private swampland. At the same price as our competitors. 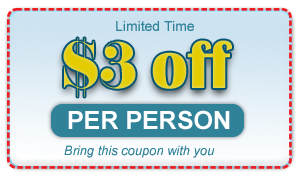 So join us on a Everglades City Airboat ride. Oldest family in the airboat ride industry of south Florida. Come let us show you the great Everglades rides in Florida on an Airboat. The best way to travel is Everglades Airboat Rides, Everglades City, FL. Skim over the water on one of our Airboat Tours and see the grasslands of the Florida Everglades the way it was meant to be seen. Captain Mitch House of Everglades Private Airboat Tours, and his family has been in the airboat tour business for more than 60 years. 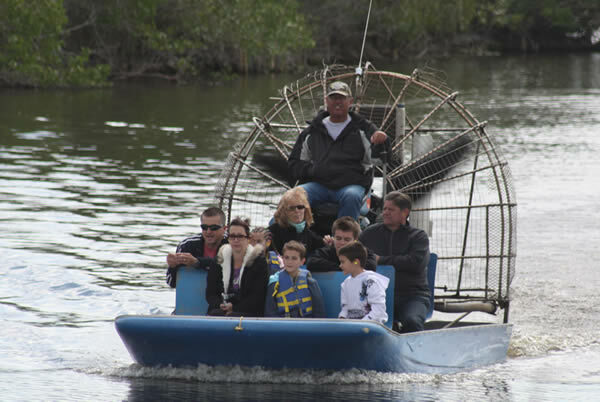 This is the original small Airboat Tours in Everglades City, FL. In our private Everglades Airboat ride park we see gators, birds, fish, snakes come see all of our friends! Captain Mitch House has been in the Airboat tour and tourist attraction industry since he was knee-high to a bullfrog. 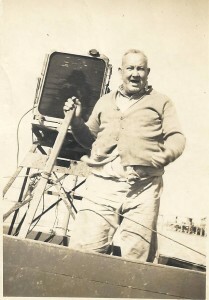 He ended up following in the footsteps of his great grandfather Barrel Head House, who built one of the first commercial Airboats in 1945. Built from three sheets of plywood and a few 2×4′s . Powered with a slant six tank motor and a sawed off jet prop with no cage. These were primitive work boats. Barrel Head used this as a fishing guide in the Flamingo and Florida Bay areas of the Florida Everglades. This was a great way to gain access to the shallow salt flats of Florida Bay. Where he took tourist charter fishing for snook, reds, trout, tarpon and many other fish species in the now Everglades National Park eco-system. Later the locals around Everglades City, FL found these airboats were a great way to travel in the swamplands of the Florida Everglades. Opening up vast grasslands of Florida’s wetlands to hunt frog and for airboat tours Everglades City, FL. TRAVEL LIKE THE OLD PIONEERS WITH A REAL PIONEER FAMILY. Captain Mitch, as the airboat tours owner, has been involved at Private Airboat Tours Everglades City, FL in the tourist attraction industry doing boat tours for more than 30 years here in Everglades City Florida. As a charter fishing guide in Everglades city Florida and fisherman most of those were in tourism with Florida boat tours or airboat rides business at Captain Mitch’s Airboat Tours. Know that your time at Everglades Private Airboat Tours will be one of your cherished memories of your Florida Everglades Airboat experience, whether you are visiting or a year-round resident. We’ll see you soon! Email us at Everglades Private Airboat Tours . A Florida Everglades airboat ride, Everglades City, FL. Just south on US 41 in the swamps from Naples or Marco Island, FL. Ft Myers or Miami fl are great day trip of aprox 1 1/2 hrs drive. Private Everglades Airboat Tours through the swamplands and Everglades island. Everglades city Florida's Captain Barrel Head House . My great grandfather and Captain Doug's Grandfather. Built the first commercial airboat used in the Florida Everglades in 1941. Made from three sheets of plywood and some 2 x 4 He created a small flat boat. Then used a slant six tank motor for power with a sawed off jet prop. 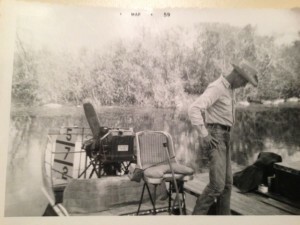 He built his first air boat in Flamingo FL. A small waterfront shanty town just to the west side of Miami - Homestead Fl and just north of the Florida's key west . After that he built many larger boats with radial engines off airplanes. He returned to and brought Everglades City FL airboat tours to the area. This was as the after the Everglades National Park had taken all the family homes in Flamingo by eminent domain. All the homes were destroyed and a way of life in the now past. His father DANIEL DAVID HOUSE First settled on what is now called Houses' mound in the 1865. The mound in House Hammock Bay where the family lived was created by the Calusa Indians. Oyster shell and conch shells piled over long periods that created land in the islands of the now Everglades National Park. 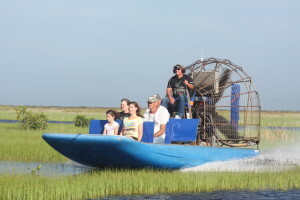 Airboat ride's are a great way to see our Eco-system. Born and raised in Everglades city Fl. Raised commercial fishing the Everglades national park and running airboat tours. Born and raised in Everglades city Fl. Returned to continued airboat tours. Born and raised in Everglades city Fl. Raised commercial fishing the 10,000 Everglades islands and airboat rides. Lives in plantation island Fl . Boat capt and now Everglades city airboat tour Capt. 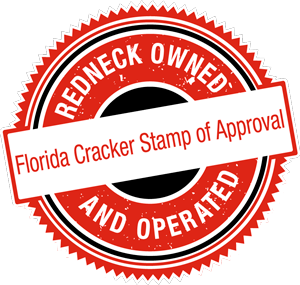 Naples Florida red neck. Airboat capt from the swamp. Airboat tours Captain from Everglades city Florida.